She was born in Athens in 1936 and grew up in the Mazeika of Kalavryta and later in Patras, Greece, where she finished her studies with honors. She studied English, French, Classical Violin and Accordion, which she taught. She started her policy term close to a great personality like Panagiotis Kanellopoulos, who called her "my child". After exams, she was from the first to succeed entering the Superior Telecommunications School of Athens, which was hosted at the home of her uncle John Beys, public Prosecutor of Athens, father of the later Mayor of Athens, Dimitris Beys. Returning in Patras, she worked for OTE(Greece's Telecommunication company), where she met and married, the young colleague and subsequent life partner, Nicholas Rogdakis, with a best man, the young lawyer at that time and friend of Nikos, Mr Kostis Stephanopoulos who later became President of the Greek Republic. Happiness was filled in the faces of her three children, Emmanuel, Theo and Anna - Maria. Even though she was always close to her family, she cared for common, especially in the context of social promotion. She was the first and only woman president of the Association of Kleitorinians of Patras, a leader on the issues that could show off her hometown, as was done with the Caves of Kastriwn, the Ancient Kleitora etc.e. In 1991 she founded the Union of Women of Patras, which in a very short period of time, became the most populous city Club in Southwest Greece. She was responsible for Public Relations in some of the biggest tv Stations in our area. 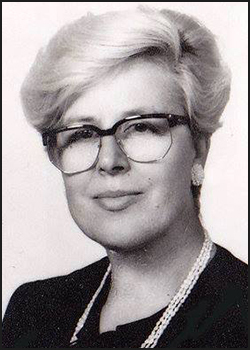 With emblem the moto "struggles for social justice" in 1996, after a personal invitation from Miltiades Evert, she held a position on the ballot of the parliamentary elections in the Prefecture of Achaia. The same thing happened in 2000 at the invitation of Kostas Karamanlis, then prime minister of Greece. Koula Rogdakis was never elected as Parliament member!!! However, she managed to pass in the hearts of the people as a "Great Lady" of the policy. Despite her huge battle against cancer, Koula Rogdakis never lost herself. Even when "gone", she had won the hearts of thousands of people, offering herself in society.